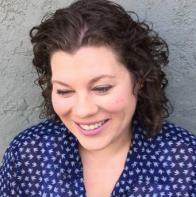 Jenny Irish lives in Tempe, Arizona, where she is grateful to serve as the Assistant Director of the Creative Program at Arizona State University. Her work has appeared in Alaska Quarterly Review, Blackbird, Catapult, Colorado Review, Epoch, and The Georgia Review. This interview was conducted in person by Interview Editor Nicholas Femiano at the Virginia C. Piper Center for Creative Writing. Of the process he said, “Jenny Irish was incredibly gracious through the whole process of conducting this interview. I was floored by the amount of wisdom and cultural insight she had to offer. Reading her book was an experience that will stick with me for years to come.” In this interview Jenny Irish talks about her experience with MFA programs, the correlation between society and slaughterhouses, and her theories on Texas Chain Saw Massacre. Superstition Review: My name is Nicholas Femiano, and I’m an interview editor for Superstition Review. Today I’m interviewing Jenny Irish with her new book, Common Ancestor. First off, Jenny, I want to thank you for being here. I would also like to express to you how excited I am to be interviewing a fellow Sun Devil. Jenny Irish: Thank you! I’m really glad to be here, and I appreciate being asked to do this. SR: It’s my pleasure. So, to clarify, you graduated from ASU with an MFA, correct? JI: Yes, I did my MFA here at ASU in the creative writing program. It’s an amazing program, and I had an amazing experience in it. It was really, absolutely 100% the support of the teachers that I had in the program that allowed me to write and finish this book. This book was actually all written in one class that I took while I was in my MFA. SR: And what class was that? JI: It was a class with Professor Jeannine Savard. She’s a poet who writes this beautiful, quiet nature poetry. She was teaching a class on the persona poem, and she had an assignment where we had to pick a figure from popular culture that everyone was supposed to recognize, and I picked Leatherface from Texas Chainsaw Massacre. No one in the class recognized my person, but that ended up being the start of something that generated a lot of really… strange – possibly strange – things that are in the latter half of this book. Jeannine and the class that I was with were incredibly supportive of everything I was doing. The small size of that class really gave us a lot of time to produce a lot of work, and then to work through it together. It was an incredibly beneficial experience for me. I’m really glad I got to work with Jeannine before she retired. SR: Now, your MFA was in fiction, correct? Did you expect your first book to be a poetry collection? JI: No I didn’t! I’m primarily a fiction writer. I had not anticipated having a poetry book, but when I looked at all of the components of the work I’d done in the persona poem class, I saw that it was actually the length of a book. It was kind of this fluky thing that came into existence just out of the work in that one class. It happened to be the correct length, so I started sending it out, and in the grand flukiness of the world, it got published. I should thank Black Lawrence Press for seeing value in the book and wanting to publish it, as well as everyone who helped me along the way: Jeannine Savard, Cynthia Hogue, Alberto Rios, and T.M. McNally. SR: Sounds like you got a lot out of that program. Speaking of which, as the current assistant director of the ASU creative writing program, how has your faculty experience influenced your own writing? JI: I love teaching. When you teach, you learn from your students everyday. It’s a symbiotic relationship, I think. I’m very proud to be a part of the Creative Writing Program, first as a student, now as an administrator and teacher. SR: Thanks for sharing that with us. I’d like to talk about your book now. SR: First, what is immediately arresting about Common Ancestor is the title itself in tandem with the cover art. Can you discuss how you arrived at this title, and how does the cover art further depict the concepts represented by it? JI: Sure, I can try to answer that. So a lot of the book, from my perspective, and everyone will have their own perspective in reading it and experiencing what is in it, a lot of what I was looking at when I was writing it was types of violence that exist in the world, and how people respond to these different types of violence: what kinds of violence we seek out and treat as entertainment, and what violence we turn away from and try to deny when it’s right there adjacent to us. Also, there just happens to be a lot of reference to rabbits. There’s a lot of rabbits in the book for a variety of reasons, but they kind of appear in every section, or are referenced at various times. When I named the book, Common Ancestor, I was thinking about the relationship between the two halves of the book, one of which is looking at very real-world violence, and particularly—not exclusively—but there’s some time spent with violence against women, the often sexualized nature of violence against women. Then the second half of the book is structured around characters in Texas Chainsaw Massacre, which is a different kind of violence, which is violence for entertainment. But there’s also other things, and I’m laughing at myself when I say this, there’s other things happening in that movie, so it’s this, on one hand, horrible, campy, incredibly over-the-top kind of exploitation-horror movie, and at the same time, in the background of the entire movie there’s a radio playing, and it’s giving these real accounts of things that are happening in war and around the world, and so I have to think… and this is perhaps a bad thing to say, but I’ve never really done any research on Texas Chainsaw Massacre; I just watched it an awful lot as a child because it was my babysitter’s favorite movie, and that was like the special thing, you got to stay up late, but it was always to watch Texas Chainsaw Massacre. SR: All questions you can easily answer at that age, right? JI: Right… so I was thinking about those relationships between real world violence and violence for entertainment, and female sexuality, and the way it is commoditized and how that plays into it when you add aspects of class, and the book is full of bunnies, and I happened to see a series of bunny-lady pictures and I thought this actually visually captures a lot of the things I was thinking about, and it pairs well with – well there are meat-rabbits in the book. There are rabbits that are being slaughtered for meat, there are women who are being slaughtered for entertainment and for meat and for no reason. I thought, in some ways, that image brought some of these things together. In terms of the title, Common Ancestor, I think there has to be a relationship between the ways we respond to the things that are happening in the world; violence in particular. Something that I’m interested in, and simultaneously drawn to, and also appalled by is the way we use violence for entertainment. I think of reality TV: “here’s a story of teenagers who were friends and then they raped and murdered and mutilated their friend.” But it’s an hour and a half that we’re supposed to tune in for, and be entertained by, and this is what unsettles me the most: there’s these invitations to “join the investigation” and “text your thoughts” and “is this person guilty?” and “do you believe they didn’t mean it?” That’s so bizarre and ugly to me, but it’s also… it’s our world. I don’t think we should look away from and deny that violence. I think it’s important that we acknowledge that these things are happening, but the format in which it’s being given back to us as interactive, text-in entertainment is deeply unsettling to me. SR: That’s very insightful. So, I have to say at this point, one thing I can’t help but notice while listening to you is the contrast between your soft demeanor in person and the dark voice of this collection. How did you prepare yourself to write that way? JI: Well, I really just kind of wrote it. I think that I wanted… how can I say this? There are a lot of people whom I know and whom I love and whom I care about—shout out to Sally Ball, an amazing poet and teacher—who I love and respect and who have helped me so much, but who I never want to read this, because I don’t want them to experience the ugliness of it. Like, there’s a point where a baby gets baked, and there’s really no excuse for that. In the larger context of the book, I feel like there is a justification, but there’s a lot of ugly stuff in here, and it’s cranked up intentionally. I did that because I wanted it to be really, really ugly, and I think no matter how ugly and over-the-top and ridiculously gory I make anything, it’s only a pale representation of things that are truly happening. Something that I talk about with students all the time, and I think something that all teachers talk about with students of writing, is that an objective of writing should be to capture truth. I think that there are some ways in which this can be skewed, which is intended to grant access, to allow people access by making it Texas Chainsaw Massacre, by letting there be a camp quality to the gore that allows people to look at and think about these things, I would hope, that perhaps they wouldn’t be able to do if it was all presented as it is presented in the first section of the book, which is as a more real-world series of experiences. I wanted to do something honest. That was my intention. Also, as I said, I feel incredibly squeamish about sharing this with a number of people, because I don’t necessary want to push that ugliness on them. But in terms of putting something out into the world that means something, these are things that had been on my mind and that remain on my mind. All of us in some way, I think, have some ability to recognize some of the awful things that are being presented to us, whether they’ve happened to us, or someone we know, or whether we’ve just seen something like this in the newspaper or on the news. So I really kind of embraced that ugliness fully. So, I don’t know, that’s just what happened. But thank you for saying that I don’t seem like someone who would be like, “it’s baby-baking time.” I appreciate that. But I don’t think this is necessarily drastically different from my personality. I just think these are things that don’t come up in casual conversation. SR: Right, that makes sense. So the first half of your book, which is called Wreckage, follows a character named Red Wreck. This is sort of a broad question, and you can answer it however you want, but who is Red Wreck? JI: Well one of the reasons they become cannibals, eventually down the line, is that they’re this family that for years has worked at this meatpacking plant, which makes sense. But the meatpacking plant is closed, and there’s all of this economic downturn in the area, this relatively rural area where the family lives, and they’re increasingly desperate, and have no resources, and ultimately become a hitchhiker-hunting cannibalistic clan partially out of a true necessity just to feed their children. So there’s a class element in that as well. Red Wreck, I hope, feels like a fair and accurate representation of what it is to be a girl, and certain deeply challenging experiences that I think are not exclusive necessarily to girls growing up, but I think any human making it to adulthood. I guess there’s a specific lens over this experience also looking at class – I don’t know how explicit this is in the book – and the kind of multigenerational poverty, and how that becomes a sort of trap and how there are expectations for you, but also a sense that there is potentially only one path forward, that there are no other options for you when resources are so limited and when everything around you models the same bleak future. SR: Right, I noticed that correlation in the book. I also noticed, to change the topic, that you tend to favor prose poetry over other forms. Why is that? JI: I would say that I’m not really a poet at all. I have studied poetry and I love poetry and I’ve had the opportunity to teach poetry and I read a ton of poetry, but primarily I would think of myself as a fiction writer. I always have stories in the works then poems happen too. Common Ancestor certainly has some things that in terms of appearance on the page look much more like poetry than anything else. Students always ask what is the difference between flash fiction and prose poetry, and certainly there are poetic elements; there are things in these blocks of text that I would say point toward prose poetry, that are using aspects of poetic craft; but I would just never call myself a poet. I started this by writing the Leatherface poems, which were frantic and long – so it made sense to put them in a block of text and to not have any breaks. So that’s how it started. I had to write in the voice of a character that already existed, thinking about that character, and thinking about, if that character spoke, how they would speak in a poem for themselves. It made sense to me that their words and their thoughts would run all the way to the end of a line, and that it would be this sort of pained expulsion of all these jumbled ideas. So I wanted it to be frantic and overwhelming and heavy. Hence, it’s just a big brick of words. Thump. SR: I think you accomplished that. Also, I want to add, in reading it really does feel poetic. To me it doesn’t feel like I’m reading flash fiction. There is one poem in here especially that I think can easily be defined as poetry, because, unlike every other poem in that first section, this one is lineated. The poem I’m referring to is called “Red Wreck Tries Journaling.” I’m interested in this one. What about this poem caused you to deviate? JI: Again I was thinking about the character, and also the act of trying to put thought on paper, or how we try to put thought on paper. I think that the way we work through things, or the way we move from one idea to another, it’s often associative: one thought triggers another thought, triggers another thought, triggers another thought… so there’s lots of single words that maybe start over here on the page and then another single word that jumps to the other side of the page. I think I was trying to capture visually that process of thinking through things, and how associatively our minds take us in all these different directions. There aren’t necessary exclusive linkages between those thoughts in that poem, but I think if you read that poem there is an overarching sense of the person trying to express something and not really being able to do so. So that’s why that one looks super different from the others. SR: So in the poem, “Red Wreck Eats Meat”… and by the way, I love how all the titles of that first collection share the theme of Red Wreck doing something simple; I thought that worked really well stylistically… but in that poem you write about Red Wreck developing breasts at an early age, then later in the same poem you write about slaughterhouses and animal cruelty represented in film. What is the correlation between these two seemingly unrelated subjects? JI: I think there’s a kind of ugly, explicit connection there. There really is a type of chicken that you buy as a meat bird, and it’s called a broiler. You cook it in a broiler. So its purpose even in its naming is something that exists for you to cook and eat, and they’re these sad, big, dopey, white chickens. Any sense of true animal intelligence is gone from them. But you literally get them and you just feed them and then it’s time to kill them. I should also say I grew up on a farm. So you have these broilers running around and they start off as these little chicks, and they grow a lot faster than a variety of other chickens, and the whole purpose of them is to feed them up, get them developed, and then as soon as they are developed you slaughter them, and if you wait too long after they develop they get tough. I think there’s a relationship between that and female sexuality, female development, and how sexualized young girls are at the cusp of their physical development. Often times physical development proceeds emotional maturity. But that doesn’t mean that people don’t respond to the physical. I also think the way a girl is looked at and perceived in the world has the potential to dramatically shift when she becomes physically developed. A sexual projection is placed upon her at that point, whether she’s invited it in any way or not. There are all these crude jokes that you hear all the time, that about as soon as there’s any sort of hint of development in a girl they’re “good to go,” and that’s ugly and gross and problematic, but common. It’s in the air. I feel like there’s something in that, and, not to be extremely heavy handed, in taking a girl and turning her into meat. Like what is her value? Her value is the same: she’s got some breasts. And therefore, she now has this very specific value, and her specific value is to be sexualized by the world. So I saw a linkage there, that we have these animals that we have bred over time and they have this sole purpose: they develop breasts, then literally it’s slaughtering time. But I’ll stop talking about chickens. I just felt there was a parallel there. SR: I think, unfortunately, that’s a very insightful correlation. So I wanted to talk a little more about the second half of the book, Yeehaw Chainsaw. JI: There’s a lot of rhyming. SR: I enjoyed that! These days you don’t see it as often. I liked that you did that. JI: Did you? I’m glad. Once that became a thing, once I decided that cannibal-speak contained a lot of rhyming, I really just… kept on doing that! After the book came out and I was looking at my first copy, one of my responses to myself was that I didn’t remember that I did this. I remember why I did it at the time, because it created this driving pace, but whew, there’s an awful lot of rhyming cannibals in there, yeah. SR: Well I thought the rhyming fit perfectly. I’m curious though, is Texas Chainsaw Massacre your only experience with horror films? JI: No, I like scary movies of a particular sort. I do watch, for pleasure, really bad, like boo, make-you-jump, horror movies. I don’t really like gory, ultra-violent movies like TCSM. I just want there to be a big house and a mysterious locked room, and I want to wonder and guess what’s going to be behind the door, and even though I sort of know what’s behind the door it will still be satisfying to me when I get to that big reveal ending. So no, TCSM is not my only experience with scary movies, but it’s just one that is close to me for a variety of reasons, particularly because I had this babysitter, a friend of the family, who let me stay up late and hang out with him and watch TCSM, and he would talk to me like an adult, which was an act of generosity that I still appreciate. SR: I think that’s really sweet. I mean, terrible babysitting practices aside, it’s really sweet that such a small act of generosity could mean so much. There’s a part in the book where you write about a kind of generosity in TCSM, in a way, albeit a much more twisted form of generosity than merely that of an edgy babysitter. Do you mind if I read from it? SR: A passage in the poem titled “Leatherface Leaves Texas” reads, “in the end I offer back unto the world what mercy that to me were never once, ever truly shown, and it is my own hand that cuts until it strikes the bone, that delivers death to me, ready and known.” I’m curious, could you elaborate on the theme of mercy in this poem, and in the collection as a whole? JI: So, as something that is acting in a lot of ways as a representation, there are a lot of questions that could be raised about why Leatherface does the things that he does. One way that the character is read is as someone who is, remembering this is an exploitive B horror movie, is as someone who is developmentally challenged or delayed in some way, and who, across this movie, kind of has all these costumes that he wears. At one point he dresses up nicely as a woman and serves everyone tea. So this idea that this person who is ‘other’ and different within his own incredibly close-knit family either does not have a full capacity of understanding of the things that are being done, and/or is carrying out these acts of violence because they have been taught through multiple generations, that they are the rural-side-of-the-road-Texas-cannibals. They have been going way back. They have a shrine to grandma made out of human bones and chainsaws. So in that, ultimately, Leatherface is someone who feels incredibly badly for the things that have been done, and also recognizes that, not that this is any way an excuse for making lady-masks, but that he also was not shown mercy or kindness, and that the absence of that has been a motivator or is connected to the things which he’s done. Ultimately taking himself out of the equation, to him, is something that’s going to protect others as an act of kindness and mercy. SR: Yeah, that’s something I hadn’t really thought about. I think that is a good way to wrap up the discussion. Now, to end the interview on a bit of a lighter note, I’ll ask you our traditional question: what does your writing space look like? JI: Well I’m laughing because I don’t necessary have a writing space, I just write whenever I can. My work, which I love, 95% of the time, keeps me pretty busy, so ‘writing space’ and ‘writing time’ are these things that just occasionally, magically happen and must be made the most of, so I write in my house sometimes. Recently I write outside, because I get up early with my dogs. I just sit out on the patio and write while they’re running, which is actually a really nice writing space. But if people have the possibility for a designated writing space I recommend it. And now I’m going to, for a moment, plug ASU Libraries, which is an amazing partner to the Creative Writing Program. They did this incredibly cool thing for us where they have these study carrels, but with the understanding that our graduate students don’t all have their own private space, like in the university or in their homes, and they wear many hats: they’re teachers, they’re writers, they have families. The ASU Libraries did this really generous thing for us which was that they took two of their private study carrels out of the big pool that normally goes to researchers and they gave them to our students, these designated writing spaces, so that students who don’t have a quiet place to write, which I do think is something that can be incredibly valuable, to have this space to go work in. SR: Well, Jenny, you were wonderful. Thanks again for being here. JI: Thanks! And thank you, Nicholas. You were very kind.